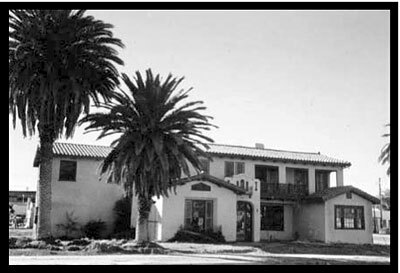 The Mission Revival residence was built for businessman Stephen R. Whitehead and his family in 1929. In 1942 after Whitehead's death, it was sold to the Sisters of the Holy Family and served as their convent for forty-three years. In the year 2000, when the house was destroyed by fire, it was owned by the Junior League and awaiting restoration. Source: Las Vegas Sun dated 26 July 2000.